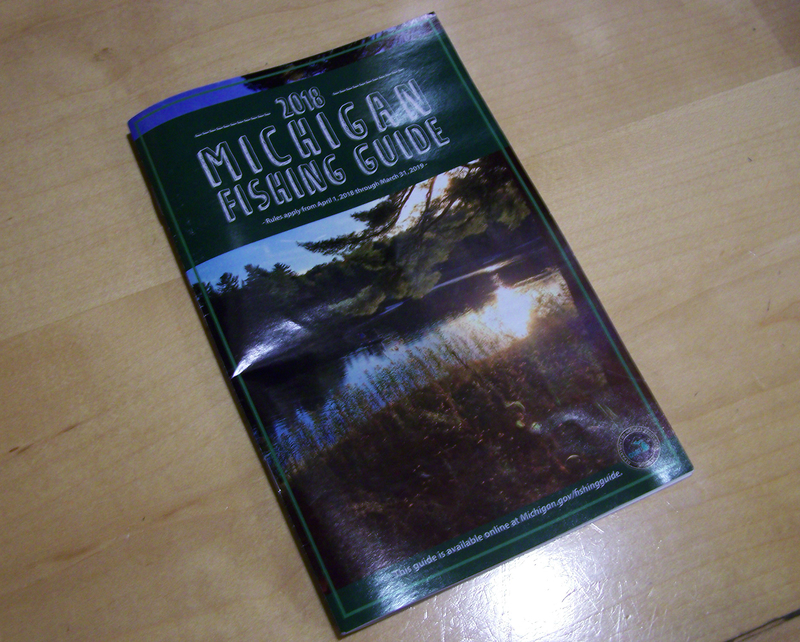 Every year I buy my fishing license in March and make sure I grab the latest regulations booklet (usually available where you buy a license). If there is a major change to any rule it is often highlighted at the beginning, which is helpful. Beyond that I try to follow my own trout stream rules to stay legal, like never keep a trout under 12 inches (should be legal and I know I can get two good fillets), don’t keep more than three trout over 15 inches (which I never would anyway), five fish total in my possession, (no problem), and be nice to DNR officers. In the booklet each species of trout or salmon is charted against stream types so it is possible to find specific trout and stream information but for some reason it is very hard to actually picture that chart in my head when I go fishing. To confuse the issue some streams have their own rules by county, and some streams do not allow lures (flies only). Catching a trout in a lake is much more complicated with six lake types and assorted size limits and rules. Better have the booklet handy, not to mention a county map. Here’s an idea for a phone app. 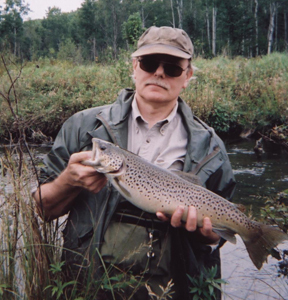 Stand next to a stream or lake and push a button and it tells you the name of the stream or lake, the trout sizes and possession limits, lures allowed, and the open season. An app to confirm you are not breaking the law if you start fishing! The app would be free and downloadable when you buy your license. This would save the cost of printing a 65 page booklet every year that nobody wants to wade through, a booklet so confusing there is no guarantee the reader will not break the law by accident. The alternative to this idea is too horrible to imagine.. Simplify the Rules. For my part I have a hard time understanding or believing that every year the myriad of trout stream rules is reviewed with some practical goal in mind. I can picture two executives going over last years manual line by line and saying,”Sounds good. Let’s keep it.” I hope there’s more to it than that.